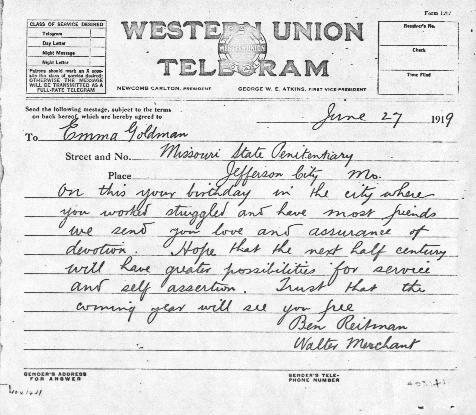 On June 27, 1919 Goldman spent her 50th birthday behind prison walls, where she was serving a two year prison term in Jefferson City, Missouri, for her conviction, along with Alexander Berkman, for conspiracy against the Selective Service Act of 1917 (for publicly speaking out against conscription). 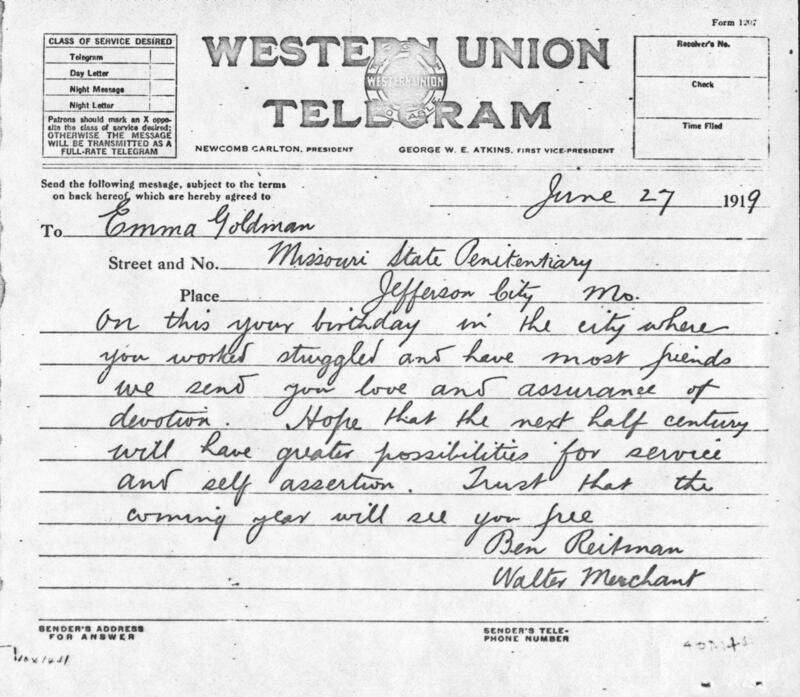 On June 27, 2003 we remembered the strong woman and men of vision from our past, reminded ourselves to persevere even in troubled times and re-commit ourselves to the present and the future. 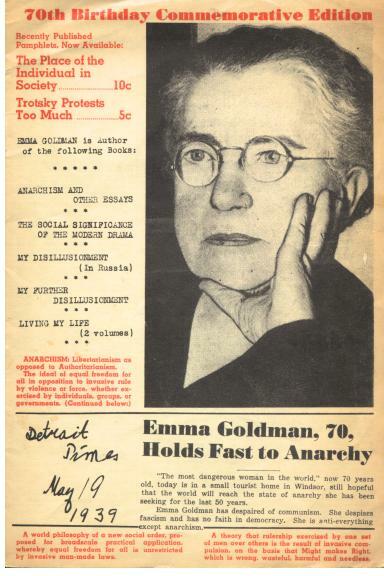 2003 was an especially wonderful year, because the Emma Goldman Papers Project through the University of California Press had just published Volume One of Emma Goldman: A Documentary History of the American Years, Made For America 1890-1901, the first of four volumes. 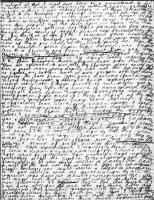 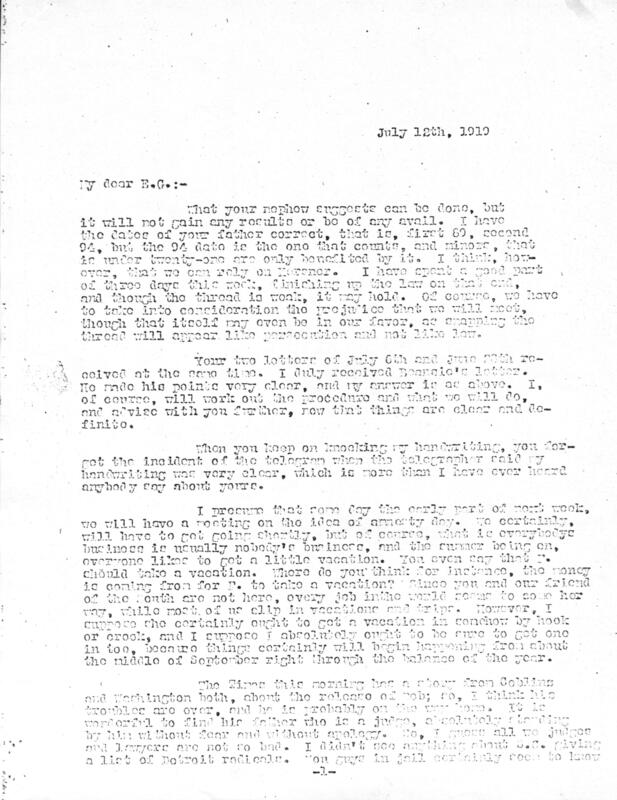 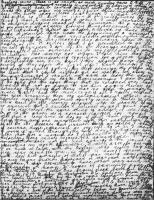 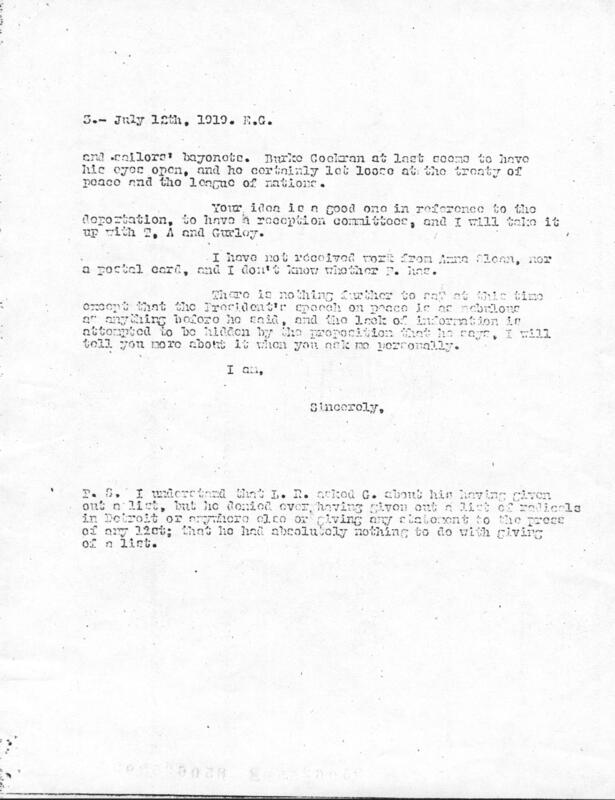 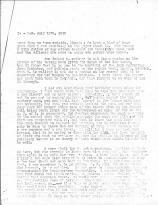 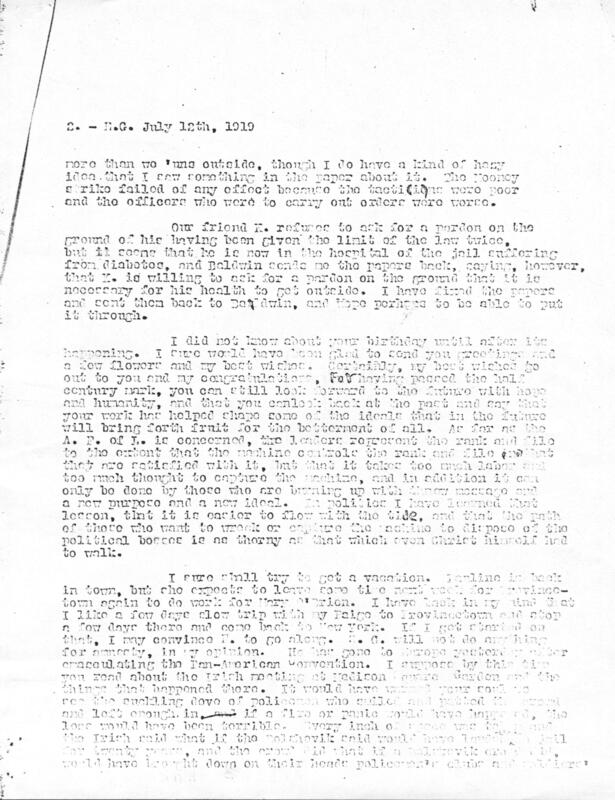 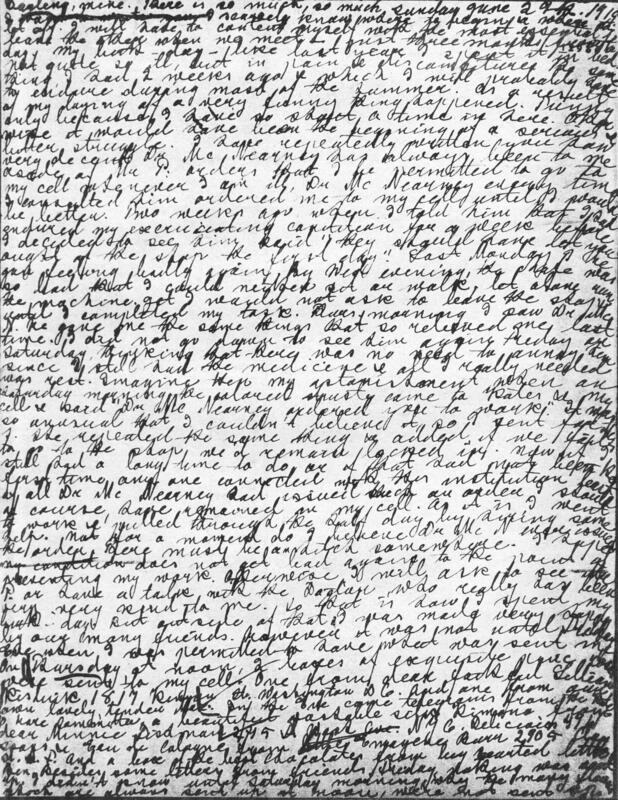 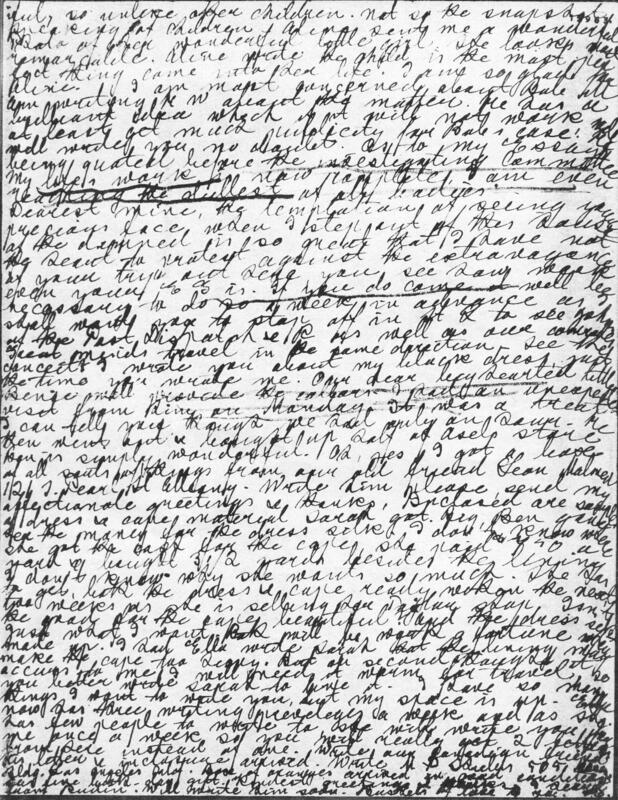 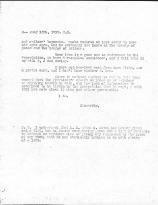 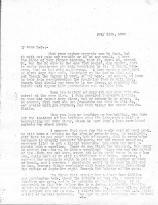 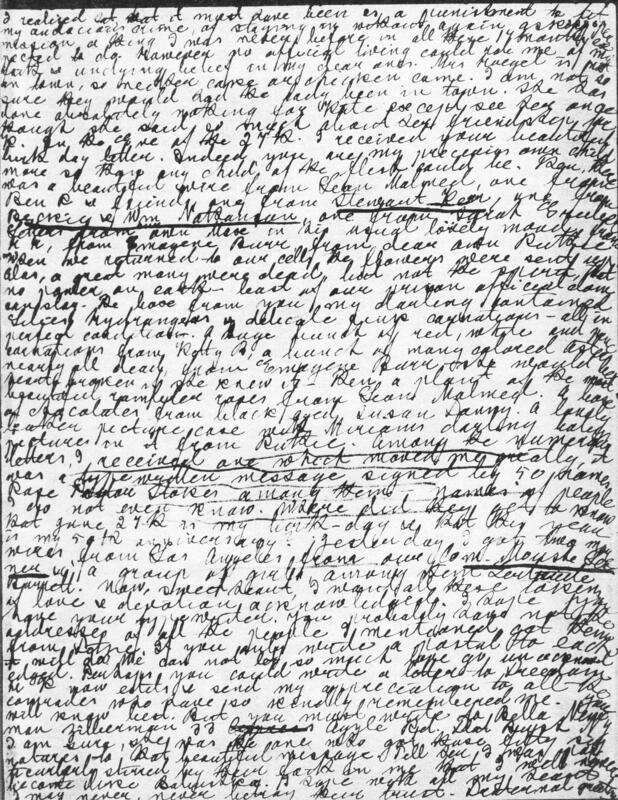 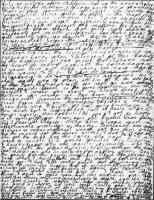 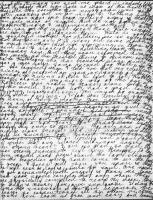 Below are documents from Goldman's 1919 birthday, which the project worked on for Volume Four of the series.